In this MainStage Sound Design Tutorial you’ll learn how to add extra thickness and depth to any worship piano or worship pad sound in MainStage 3 with modulated reverb inside the Silververb plugin! Be sure to subscribe so you don't miss our next video and share this one with a friend who you think would enjoy it! 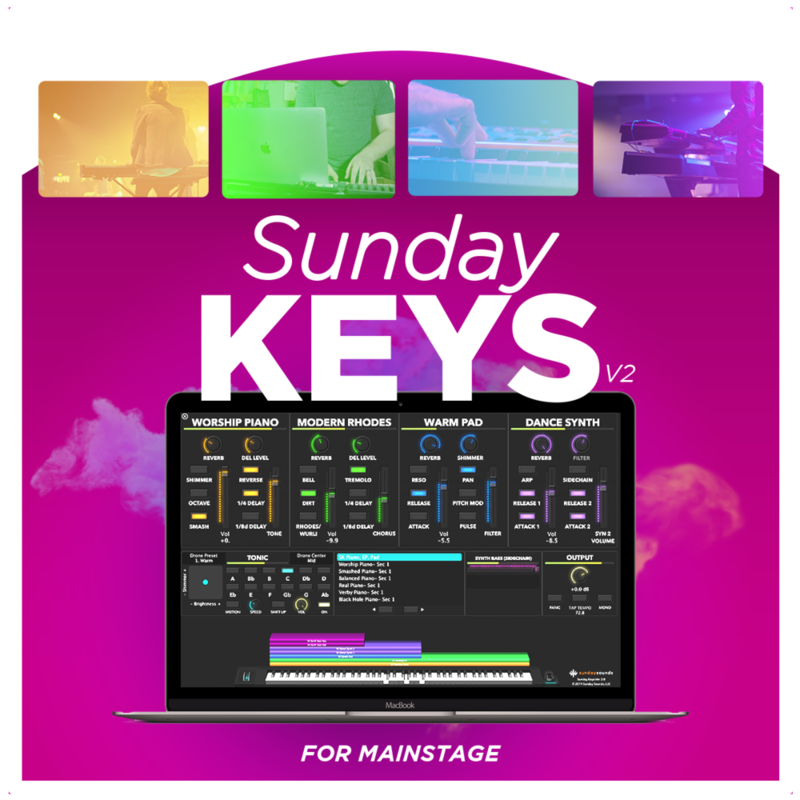 Harness the full potential of what MainStage can do with a huge sound bank of over 100 ready to play worship patches, an intuitive and easy to understand visual layout and game-changing features like built-in Tonic drone pads, simple preset browsing, and easy patch building. How to Build a Keyboard Rig in 2019!